I’ve wanted to explore Ireland ever since I was 10 years old when I read The Hunter’s Moon by Canadian author O.R. Melling. 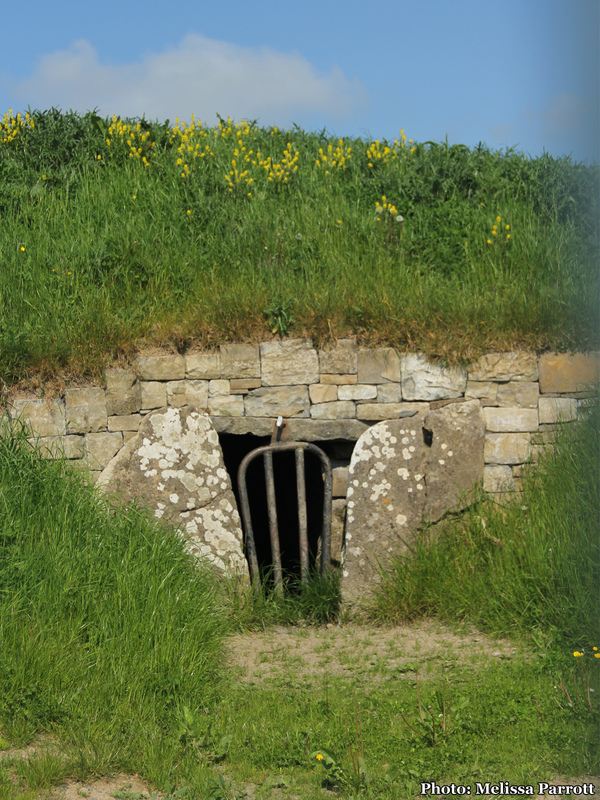 In the book, two adventure seeking teens, Canadian Gwen and her Irish cousin Findabhair spend a night in the Mound of the Hostages (A megalithic tomb) on the Hill of Tara. Findabhair is taken in the night and Gwen must travel across the country, in both modern Ireland and the land of the Fae to search for her cousin. I was swept up in the landscapes, characters, mythology and storyline and ever since then Ireland has been a top destination of my dreams. When I finally got my chance to visit, I planned to see the places that I had read about since childhood. After arriving in Dublin and exploring the city for a couple of days, the countryside was calling to me. I got up on my 2nd morning in Dublin and walked the short way to the city bus terminal, Busarus. I hopped on bus 109 to Tara. We headed quickly up the city streets, winding past St Peters Church, Phibsborough, until we reached the countryside. My eyes sparkled with joy when the lush fields and meadows of County Meath filled the bus windows. I was seeing the green fields of Ireland for the first time. Cranking The Cranberries in my headphones, “Dreams” played as I neared my destination. 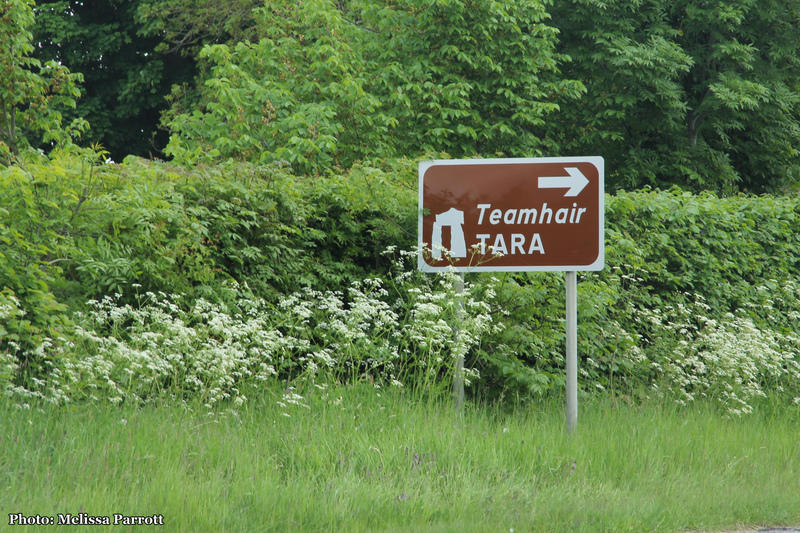 I was one of the few still on the bus when it stopped and let me off at the side of the highway near a small sign reading “Teamhair, Tara” which was about a 20 minute walk away. I hoisted my camera out of the pack and headed off down the laneway leading to one of the most important historical sites in Ireland. This area is steeped in Celtic mythology. Temair, the seat of the Celtic High Kings, gateway to the otherworld and sacred dwelling place of the old Gods. 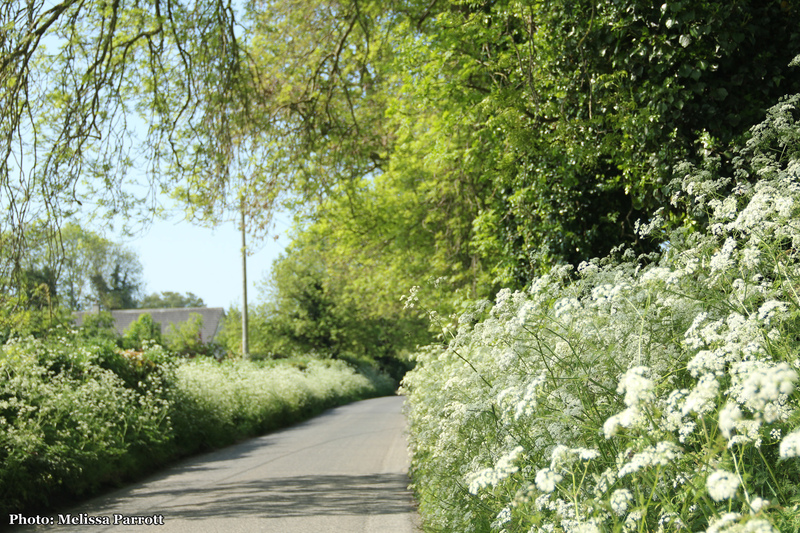 The lane leading to Tara was exactly as the book described. I saw the cafe and church mentioned in the book and joined a few other people wandering around the green expanse on a sunny summer morning. Studying the map intently, I try and imagine what the grassy knolls, embankments and ridges once looked like. Faces paraded by in my mind, those of the Celtic Kings and Queens, Druids and Warriors who trod these paths holding important events, banquets, ceremonies, sacrificial rites and rituals. 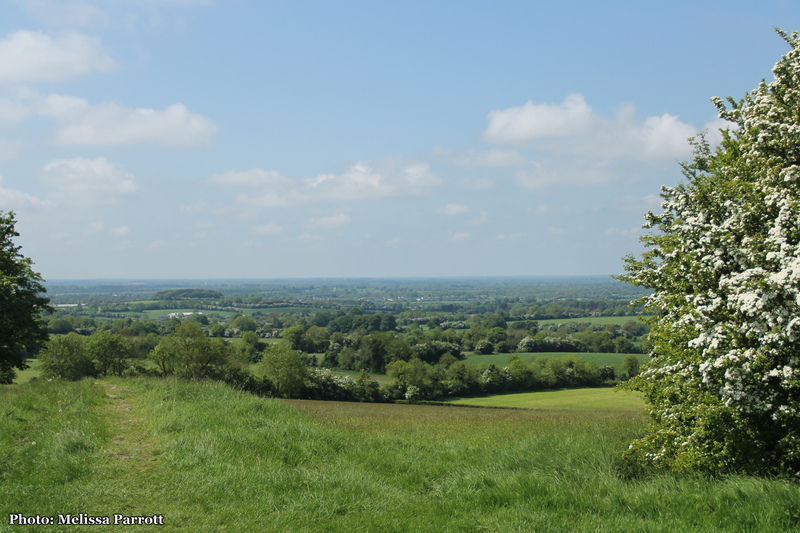 While there isn’t much to look at below your feet, the view from the hill is spectacular. It’s the highest point for miles and on this clear day I can see quite a distance. 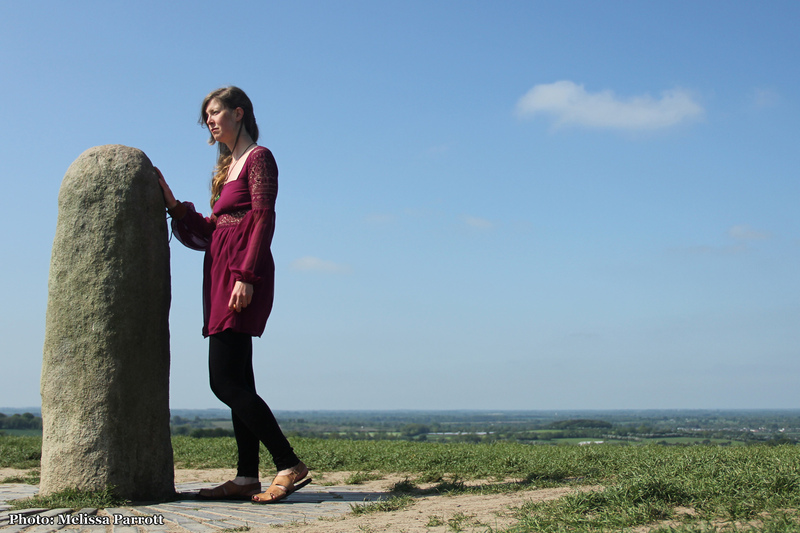 Standing atop the King’s Seat (Forradh), I place my hand on the Lia Fail, Stone of Destiny, said to have been a sacred object brought by the Tuatha De Danaan, an ancient race of supernatural immortal deities known as the Gods of Light and Life. Some believe the Tuatha De Danaan never left Ireland, but retreated underground in sacred places such as this. Legend says that when the true King of Ireland stood on the Lia Fail the stone will roar or sing. There was also a large woodhenge recently discovered at the site, build 4500 years ago and measuring 250m in diameter! 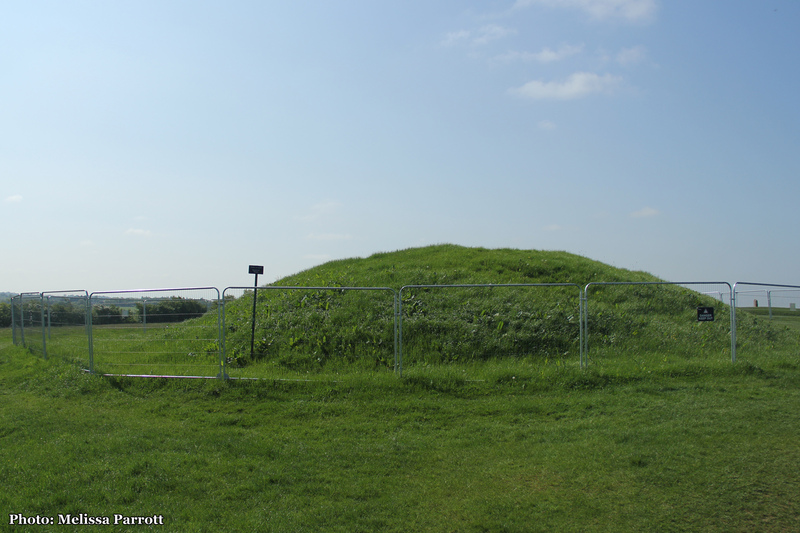 One mound is not only barred with a iron gate on the entrance, but also entirely surrounded by a wire fence. Unfortunately this is the spot of this site I most wanted to see: The Mount of Hostages, (Duma na nGiall), entrance to the otherworld. 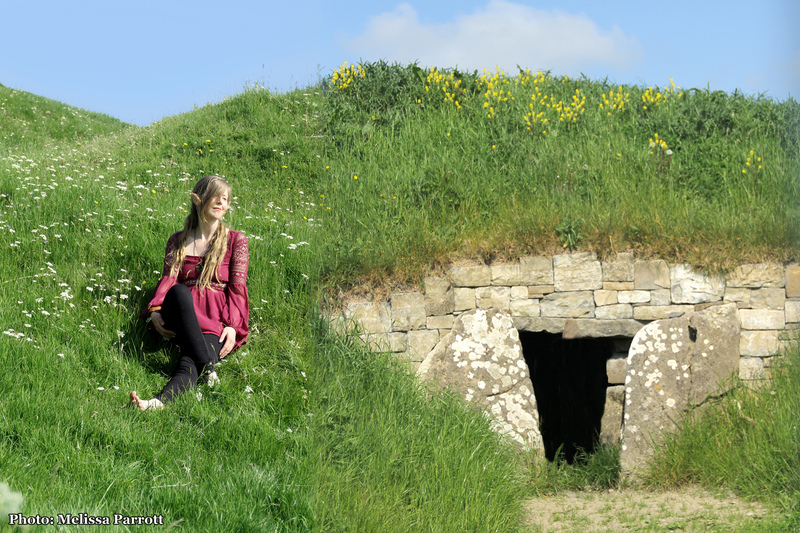 This passage tomb dates back to 2500-3000BC. Much later, this area became the coronation place for the High Kings of Ireland (pre-christianity). Slipping my lens through the fence, I snap a picture of the mound. Being a photoshop wizard, I am able to composite a photo making it seem as if there is a one of the fae folk basking on the mound. This photoshoot was a way for me to recreate some magic and sense of adventure, when so much of those sparks have been stifled in the hustle and bustle of modern life. Our mythology and stories, passed down for generations may seem to be make believe, but a part of it is indeed alive and real. Many folks in Ireland hold stock to fairy legends to this day. It is a part of their history, living on in their customs, sayings, sightings, experiences, wisdom and beliefs. It has taken me over 20 years to make it to this sacred place, and since the characters in the book that led me here got to sleep (albeit in the mound overnight), I decided to indulge in a nap as well. After all, I was legitimately tired after my night out in Dublin the evening prior! 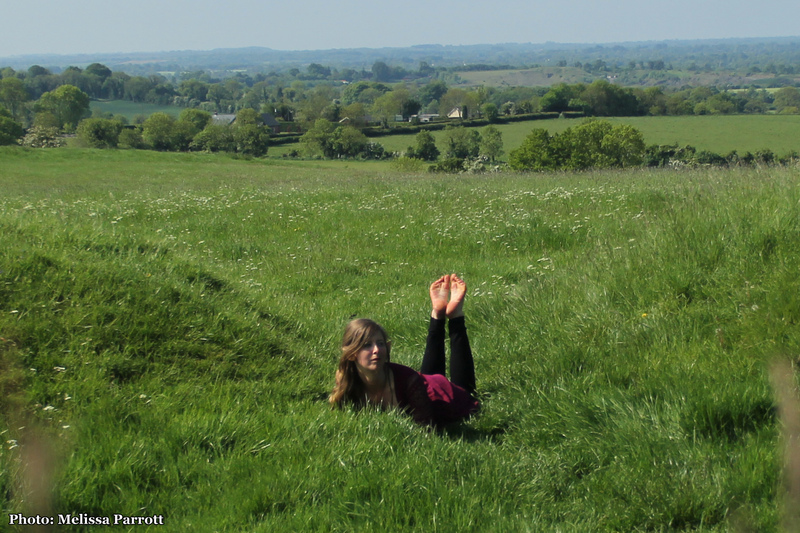 Sleeping outside is one of my favourite things to do, and the grassy cushion of the hill beneath me, birds softly chirping, the sun beaming down, the soft wind blowing across the fields and the view of farmland as far as the eye could see, all contributed to the ultimate nap conditions. I was content. I was exactly where I wanted to be. It felt so good to have made it here, to a place I could only have seen in my dreams and when reading a good book. After my nap, I rise and walk barefoot along the grassy ridge, once again conjuring pictures of the past. The history is tangible. The stories invoke visions of historical figures, standing proud and tall, surveying the realm, spectral memories of the land and the people who resided here long ago. I walk back down to the cafe and washroom and visit the small art gallery next door. There I meet Courtney Davis, whose gorgeous artwork depicts the myths and legends of his country in delightfully colourful paintings We chat a bit about our favourite stories and I burn an intention in the alter area. I admire the handwoven crosses of Brigid (hung in homes for protection), wishing I could buy one, but knowing there’s no way that would survive 12 days in a rucksack across Ireland! I purchase a selection of cards from Courtney, including one of Britain’s Glastonbury Tor (which I visited in 2014) and one depicting the ‘The Children of Lir’ legend, both involving stories of the Christianization of Pagan society. Half walking/half running back down the lane to catch the 109 (Cavan) bus further north to Kells, I was a little sad to leave but excited for my next stop of the day. Shortly upon arriving to the highway, a bus whizzed by. I hadn’t realized that one half of the scheduled buses wouldn’t stop at Tara and so I had to wait another 30 minutes for the next double decker bus. Despite this delay and the hot sun beating down on the R147, it couldn’t quash my good spirits after visiting such a remarkable place. 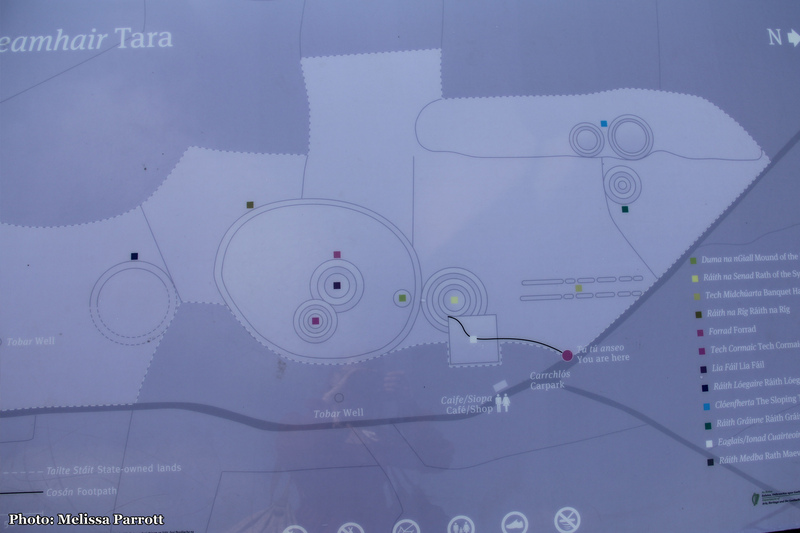 The Hill of Tara, Teamhair, Cnoc na Teamrach, entrance to the otherworld.